Few landscaping features command tranquility like water features. Despite our proximity to one of the most well-known natural water features in the Northeast, the Hudson River, few of us have the luxury of the backyard views. Instead, we make our own backyard water features so we too can channel the peace and calm that water features can bring. Perhaps the most popular water feature is a decorative pond. 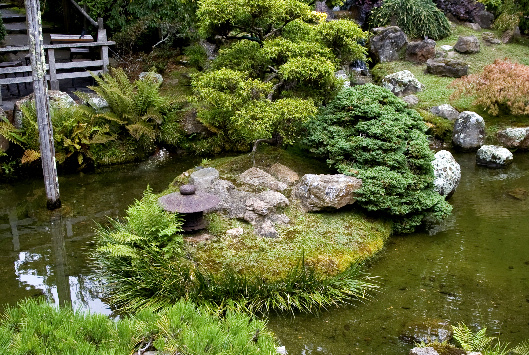 Relatively easy to construct, and simple to maintain, decorative ponds come in all shapes, sizes, functions, and styles. Decorative ponds, also known as backyard ponds, are quite affordable, and can often be done, start to finish, in one day. We'll start the process by having a conversation with you -the homeowner - to determine exactly what it is you're looking for. Are you seeking a running water feature, with components like small streams, or waterfalls? Are you looking for a smaller pond, full of colorful fish to entertain and add life to your yard? Are you looking for a larger pond, or a statement landscaping feature to accent a grandiose front yard? Perhaps you're looking for something simple, but want a beautiful fountain in the middle as a conversation piece? No matter what your desires or needs, we have the resources, the expertise, and the staff to make it happen. A decorative pond will add a whole new dimension to your home. With a decorative pond, or interactive water feature in your landscape, your yard will be the ones people want to come to. With our help and know-how, you can relax your warm-weather hours away in your beautifully landscaped backyard.